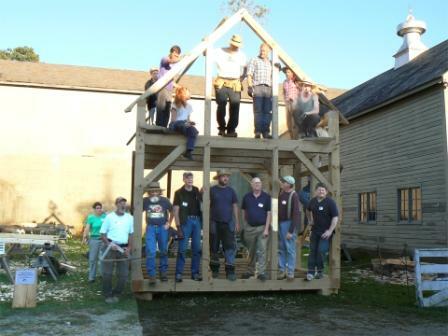 Learn the traditional craft of Timber Framing in a beautiful outdoor setting. Wednesday through Sunday, September 26 – 30 9am-5pm. Jack Sobon is a timber frame architect and builder that has been working with both old and new timber framed buildings since 1976. He is author of Build a Classic Timber Framed House, Historic American Timber Joinery, and co-author of Timber Frame Construction. Dave Carlon is a timber frame builder that has been involved with both old and new timber framed construction since 1978.